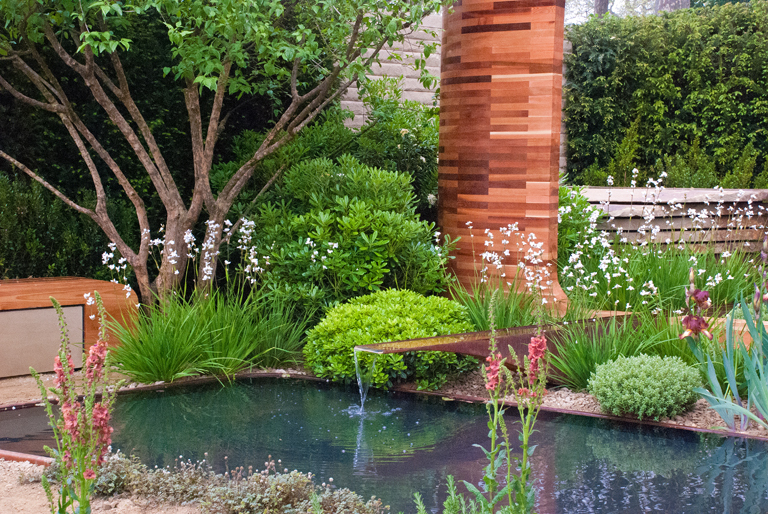 Sponsored by Homebase, the Teenage Cancer Trust garden, designed by Joe Swift, was another of my favourite Main Avenue show gardens at the Chelsea Flower Show this year. The garden was inspired by the power that plants and natural forms have on urban and suburban environments. 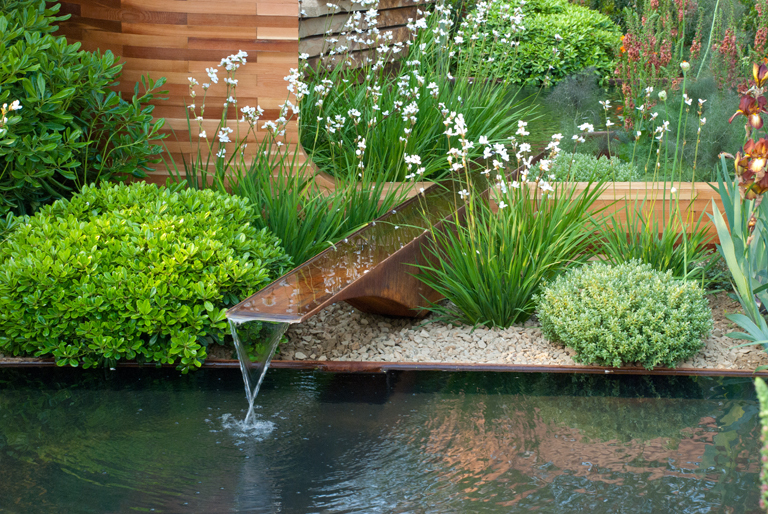 It was designed as a dry garden to give consideration to water sources and sustainability issues. 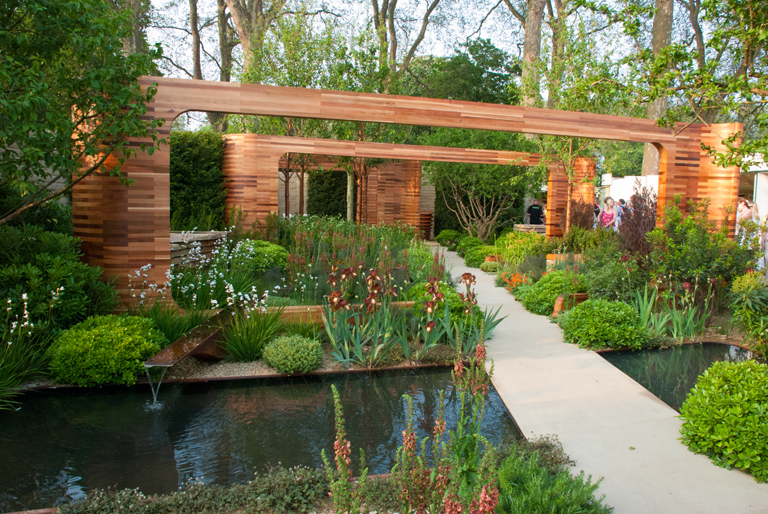 What I loved about this garden was the warmth of the timber and the complimentary planting which linked in with the water features and cedar sculpture at the back of the stand. The cedar arches were gorgeous and helped to frame different views. They also brilliantly created views when the garden was viewed at the side too. The benches were gorgeous too – you can just about see one of them in the picture below. 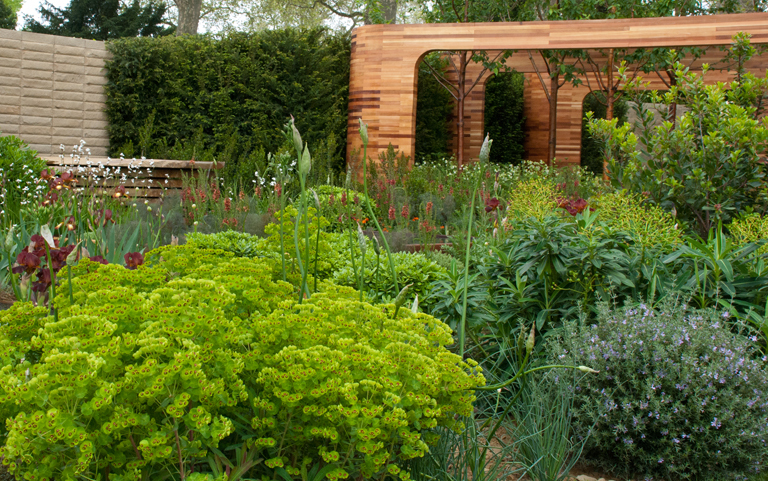 I think what really brought the garden together was the brilliant planting, a warm palette of burgundy, rusty oranges and yellow which worked perfectly with the cedar archways and the copper bark of the trees. This was another calm and peaceful garden that I could imagine spending time in. 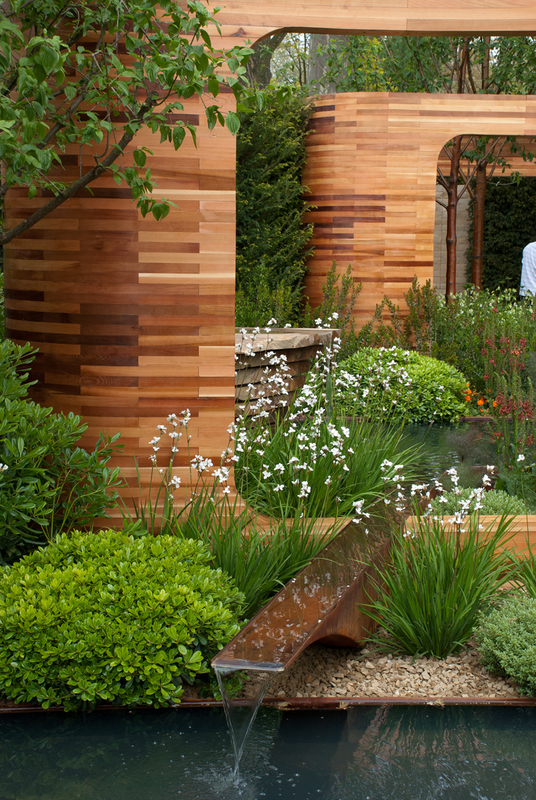 Since I have worked so much with English Garden Joinery, it has really tuned me in to timber and the many ways is can be used in the garden…gorgeous! Great post! Could you ID the plant with the white flowers? Thanks. Chris.